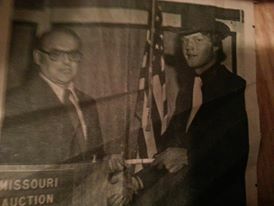 Vander Kolk Auction & Appraisal Co.
Vander Kolk Auction & Appraisal Co. is a family owned and operated auction company since 1974. 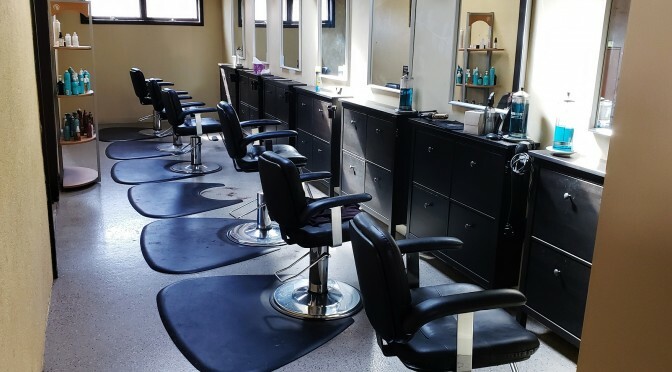 Based in Dorr, Michigan we are a full service company servicing the state. We specialize in many auction formats including farm and heavy equipment, bankruptcy and business liquidation, real estate, personal property…pretty much if it can be sold, we can handle it. 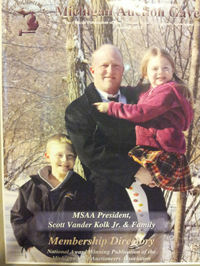 The cover of the 2012 MAA magazine featuring Scott, Nick and Ava Vander Kolk. Scott Vander Kolk Jr. is the President of Vander Kolk Auction & Appraisal Co. Scott has been conducting live and online auction since 2000. We provides live expert services through our experienced auctioneers and auction managers. Vander Kolk also provides on-line alternatives to sell your good and services, we strive to be on the cutting edge of auction technology. We also provide contract auctioneering services and provide the auctioneering services weekly to M&W Inc. Asset Recovery in Grand Rapids, Michigan. 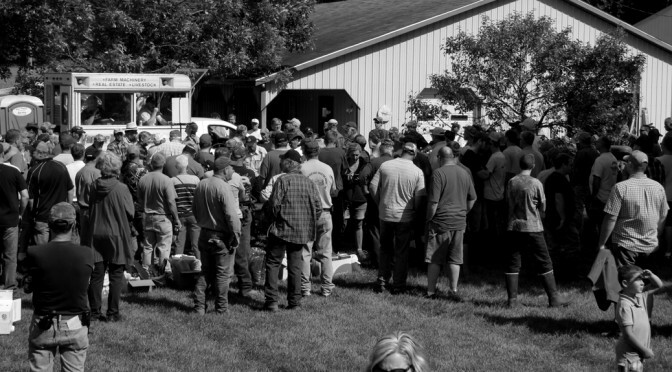 Vander Kolk Auctions conducts one of Michigan largest farm consignment auctions each March in Big Rapids, Michigan in partnership with Voelker Implement Sales. In 2013 we officially changed our name from Vander Kolk’s Golden Gavel Auction Service to Vander Kolk Auction & Appraisal in an effort to streamline things. 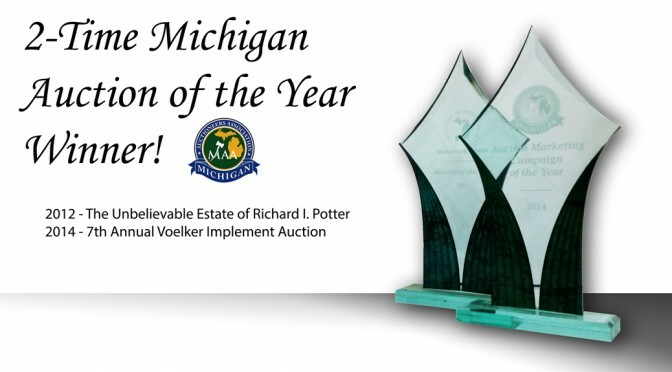 Vander Kolk Auction and Appraisal has won multiple marketing awards including the 2012 and 2014 Michigan Auction of the Year. Vander Kolk Auction and Appraisal Co. specializes in Ag, Business, Industrial and we are a full service estate liquidation and settlement firm. Contact us today with your auction needs.